In August we took delivery of our bespoke Safe Space vehicle. 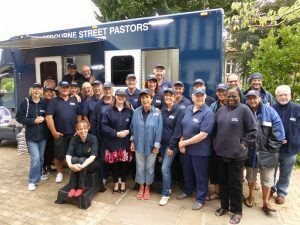 We are so grateful to two major funders who made this possible and to Signtek who did a great job with the signwriting and at a very discounted price. See http://www.signtek.co.uk for more details about Signtek. 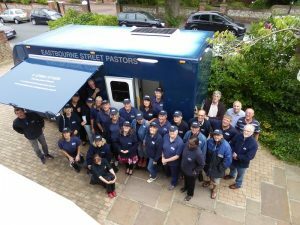 We are excited with this new addition to the Eastbourne Street Pastor resources. In addition to our existing patrols, the Safe Space vehicle gives us a place where those in need or with a friend in need can come and find us ready and able to help. It’s early days but we are already seeing the benefit of having a static base in the very centre of all the night life and look forward to see it being used more and more in the coming weeks.